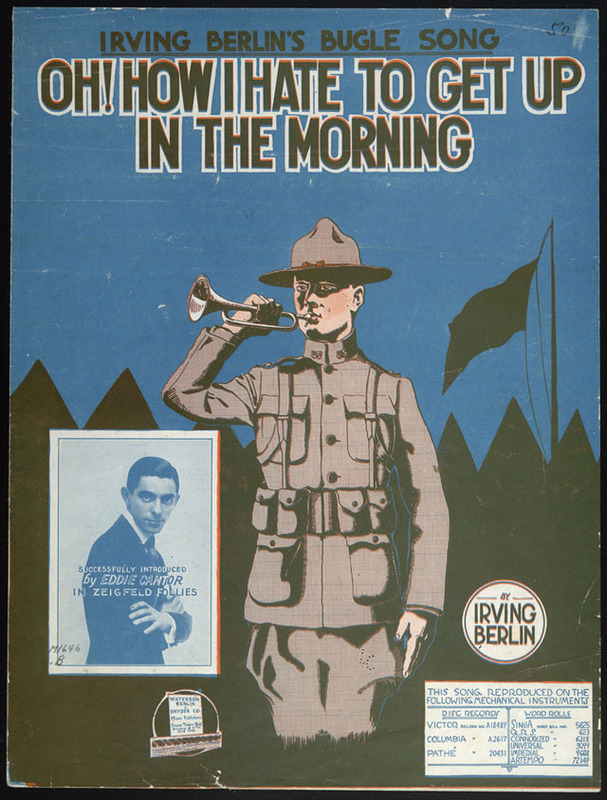 Recorded by Irving Berlin for Columbia in January 1910. 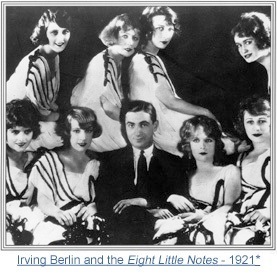 According to the Complete Lyrics of Irving Berlin (ed. Kimball and Emmet, 2001) p. 18, the song was introduced by Sam Bernard (photo at right) during the post-Broadway tour of his show The Girl and the Wizard. 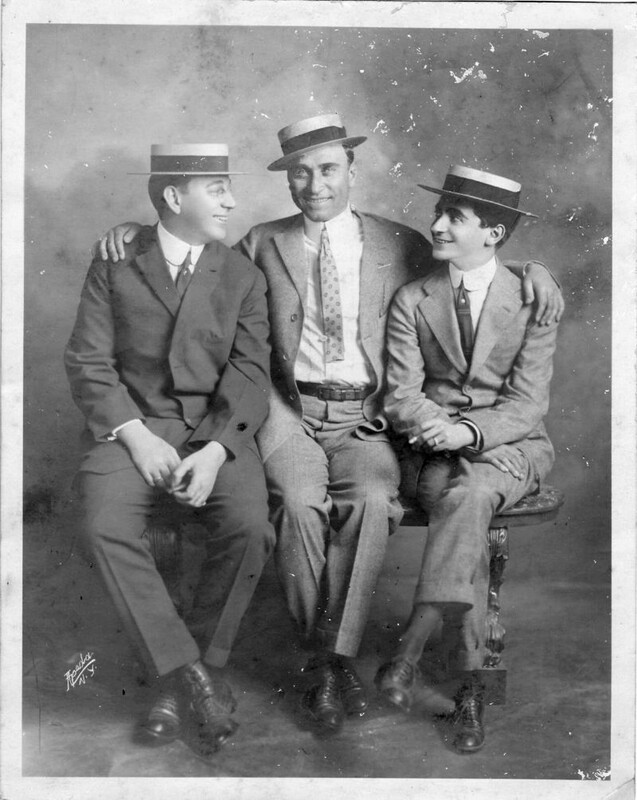 The Broadway run at the Casino Theatre, (9/27/1909 – 12/18/1909) was followed by a brief run at the West End Theatre in New York (12/27/1909 – circa. 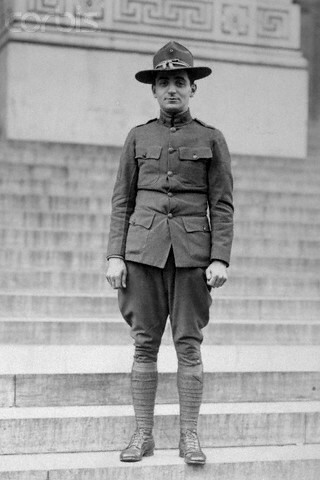 1/1910). 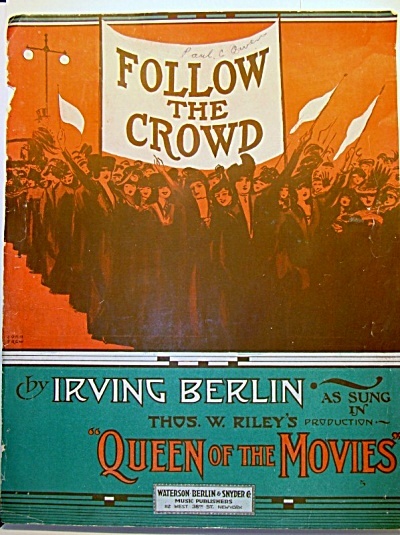 Bernard and the show are given notice at the top of the sheet music, which features an image of the star in costume. 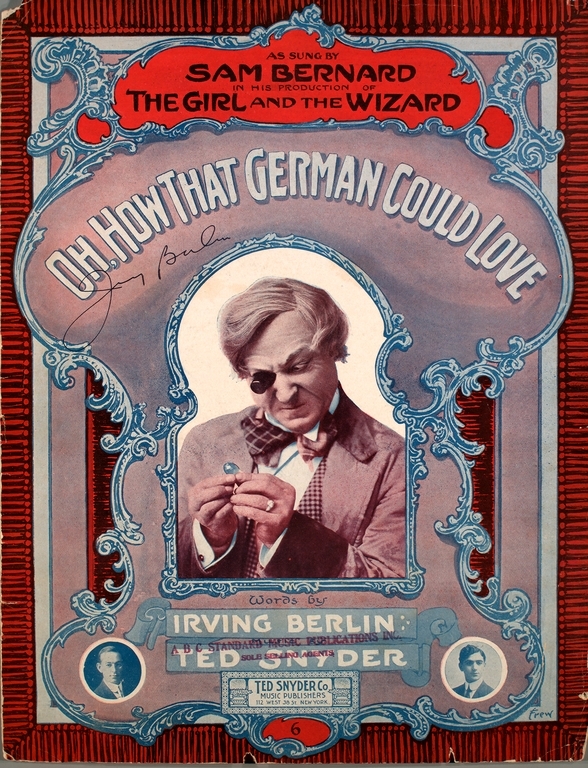 The sheet music cover appears to be signed by Irving Berlin. More than any other of his works, this song is linked with Berlin as a performer. 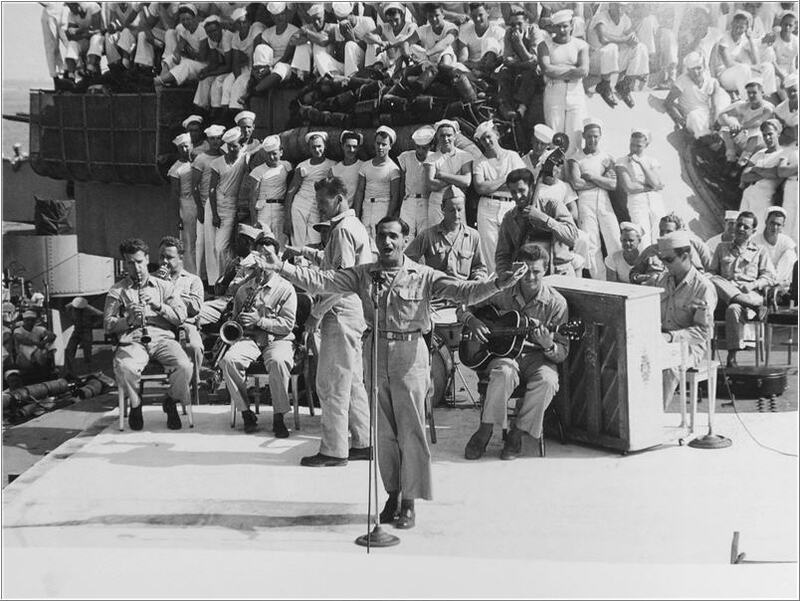 Nearly a quarter of a century later Berlin sang it in This is the Army (1942), and his “original cast” recording is justly acknowledged as the definitive version of the song. He also sang it in the 1943 film of the show. 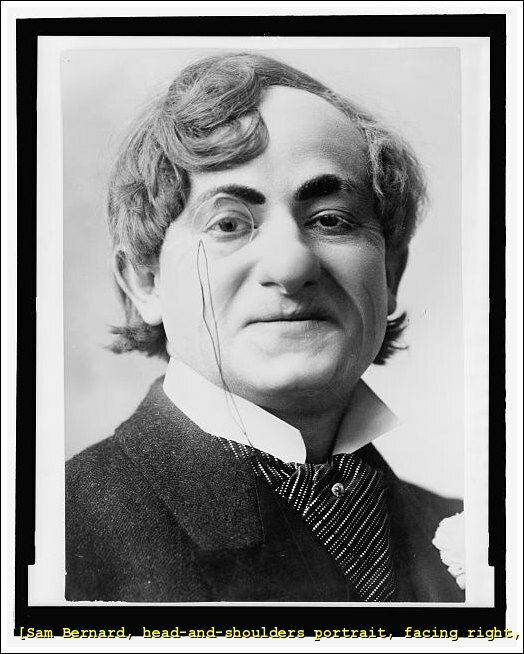 According to Variety, the song was first sung in public by Irving Berlin during an afternoon at the Strang Roof Garden on February 28, 1915; it was sung again by Berlin in Watch Your Step on March 6, 1915, the hundredth performance of the show. 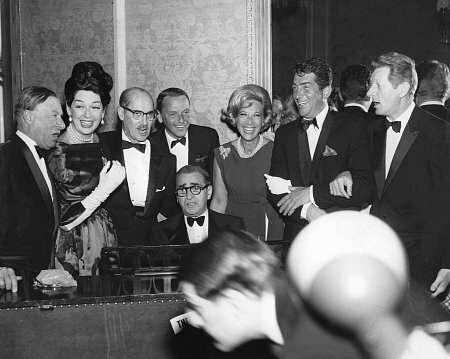 The number did not remain in the show and was not printed in the published piano-vocal score.